The following guest post by Kathleen Harrison is a beautiful reflection on choosing life. Kathleen is a nurse practitioner and mother of seven. She and her husband Matt, a pro-life physician, taught NFP for ten years. They live in North Carolina with their children. God, the Creator of everything good, asks us on a monthly basis to help Him create: not exotic plants, wildcats of the jungle, distant planets in impressive galaxies or things that will pass away, but to assist Him in creating LIFE! He allows us to assist Him in creating a human soul who will live on eternally and rise up to praise Him endlessly…. giving Him glory! We contracept our marital act. And when we fail to thwart God’s creative power in us, we dismember our preborn children and sell their organs like beef at the hands of a butcher. By unleashing our Father’s creative power in us, by choosing to follow His dreams instead of our own, and by trusting Him with our whole body, mind and soul, we walk away from a finite plan forged in our sensible minds, giving control back to our Creator. But in His taking of our forfeit, a little “fiat” is transformed into the dream of the God and King of the Universe. Father, let your mercy rain on us before your justice! 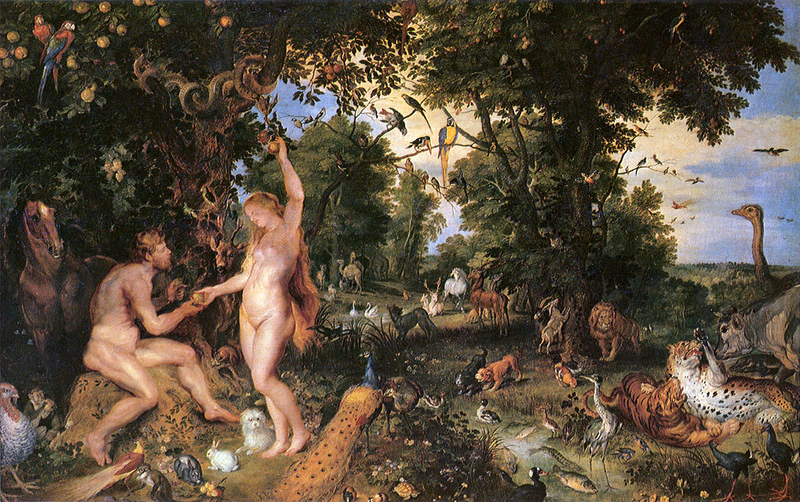 Image: The Garden of Eden with the Fall of Man (c. 1617) by Peter Paul Rubens and Jan Brueghel. Posted on August 1, 2015, in life and tagged abortion, choose life, contraception, Eden, human soul, life, planned parenthood. Bookmark the permalink. Leave a comment.